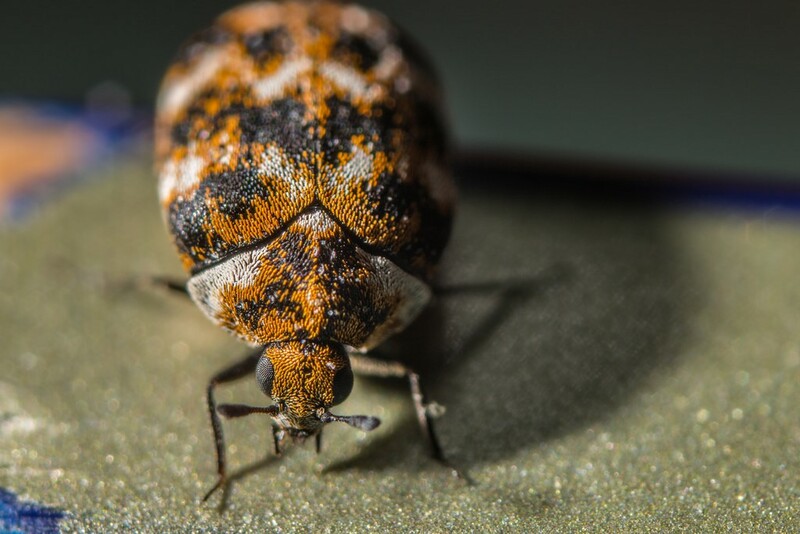 You may not have heard of carpet beetles; however, if you have them in your home, they can pose a significant risk to your health and your possessions. Adult carpet beetles generally live outside but lay their eggs indoors. 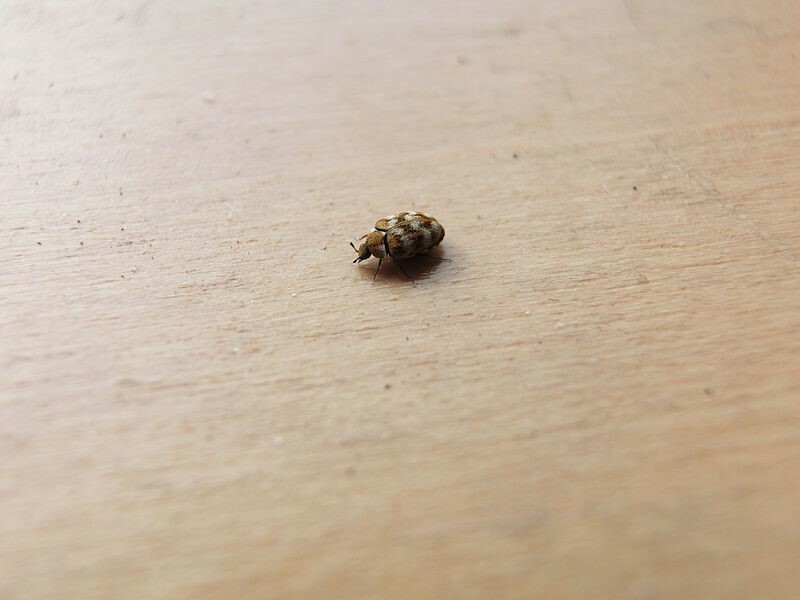 Carpet beetle larvae stay indoors, where they avoid light and are typically found in dark, sheltered places. Carpet beetles are tiny creatures – typically around the size of a pencil nib – and are very easy to miss; however, if you see tiny black spots in your carpet, it is worth taking a closer look to see whether it may be harbouring an infestation. They may get their name from the fact that they live in and feed on carpets, but carpet beetles can feed on a lot of other things. They will eat anything made of wool, along with pet food, pasta, flour and bread. They may also attack furniture, books, paper and photos. Carpet beetles can be damaging to your health in addition to your home. The beetles can cause skin rashes and bumps that appear similar to those caused by bed bugs. The hairs from the larvae, which are also known as ‘woolly bears’, can irritate the eyes and airways. How can you get rid of carpet beetles? Carpet beetles thrive in dirty conditions, so regular vacuuming is a good way to avoid infestations and get rid of any beetles that may have set up home. To make sure your carpets are thoroughly clean, it is worth considering hiring a professional cleaning company. If you are looking for professional carpet cleaning Bristol has numerous options, such as http://carpetcleaningcompanybristol.co.uk/. The best way to treat carpet beetles is to avoid getting an infestation in the first place; however, there are many ways in which carpet beetles can enter your home. They may come in attached to flowers or plants or could get in through air vents or windows that have been left open. Carpet beetles can cling to pet hair or clothing and get into your home in this way; alternatively, they can come down the chimney or through plumbing openings. Carpet beetles are attracted to leftover food, so it is a good idea to make sure this is always cleared away.